NEWSAtiku: Peter Obi emerges PDP vice presidential candidate. 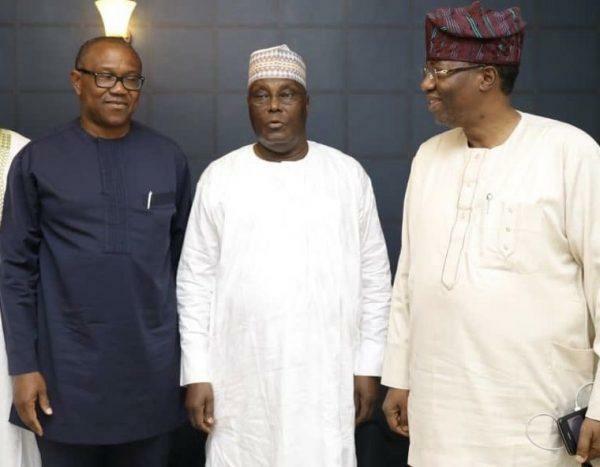 Former vice president, Atiku Abubakar, has selected ex-Governor of Anambra State, Peter Obi as his running mate. Atiku polled 1,532 votes in the Peoples Democratic Party [PDP] presidential primaries in Port-Harcourt, Rivers State, ahead of Sokoto State governor, Aminu Waziri Tambuwwal who polled 693 votes. Insiders say Atiku made wide consultations before the decision. Lamenting that Nigeria had derailed off the paths of development, Obi said that going by “Atiku’s wealth of experience, track record of wealth-creation, knack for identifying excellence among excellent people, detribalised nature and perfect understanding of the ills of the country”, the former VP had all it takes to restore the nation’s glory. Having personally followed him in the past six months, listened and interacted with him on a number of issues negatively affecting our society, I observe in him a person who has the burning desire to leave a footprint in the sands of time”, he added.